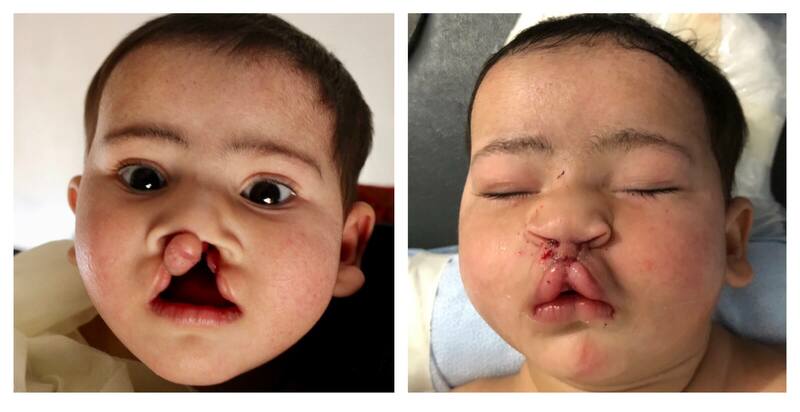 Some surgeons favor doing Cleft Lip/Palate Repairs and today held many opportunities. 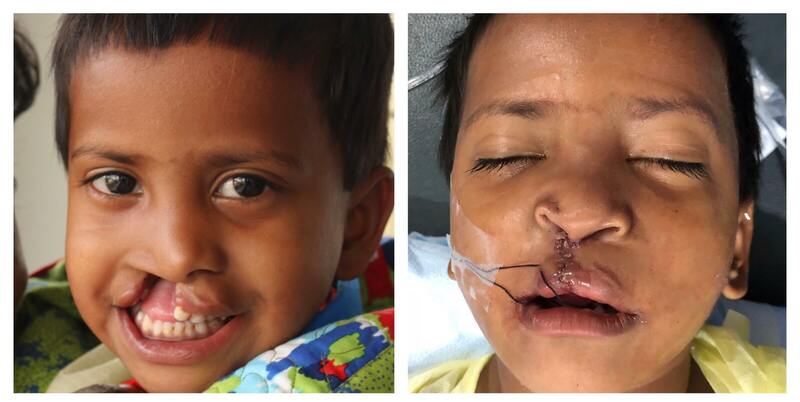 Here are some of the before and after pictures of the young children who received drastic changes to their face by those repairs today. In a few days, the swelling will go down, dried blood removed, and then the effects of the operation will be in near-final condition. 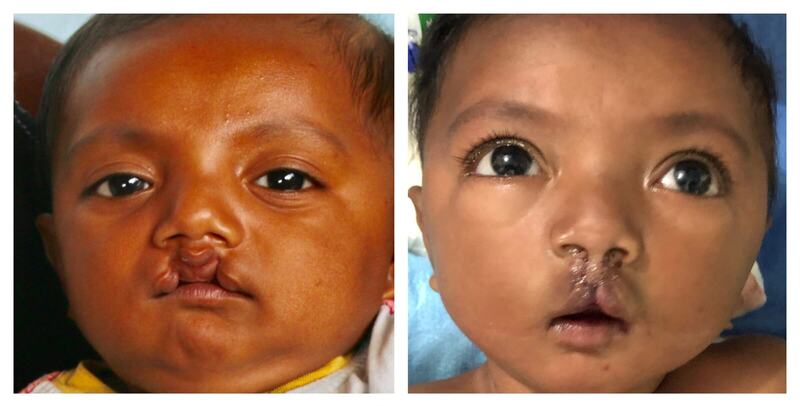 In the nostrils of some children the Surgeons used special suture techniques that will make the nostrils slightly “inflate” with scar tissue over time to even the appearance of the nose. Today I’d like to introduce you to Roshni, a 21-year-old patient that has stolen our hearts. 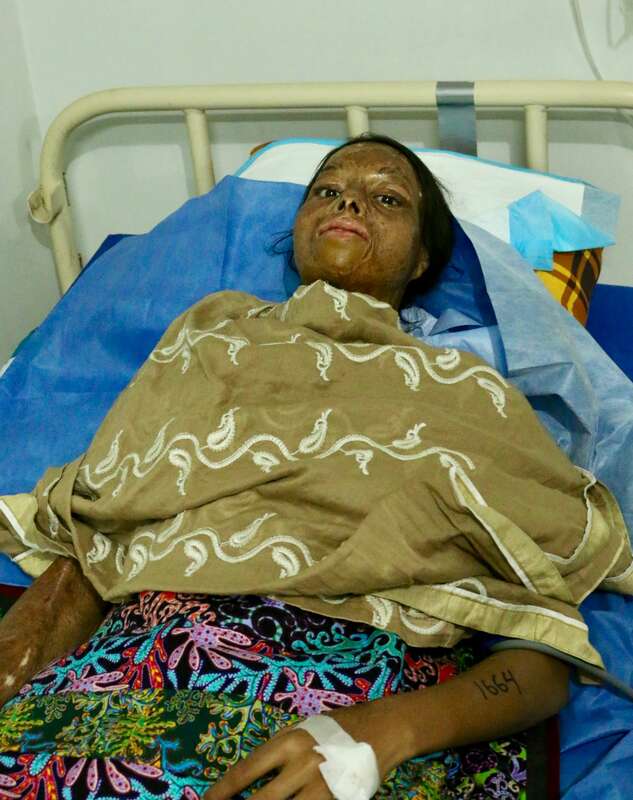 She was 14-years-old when she was disfigured. A family member had brought over meat for dinner and set it down near her. The family dog ran over, grabbed it, and made off with his stolen meat. 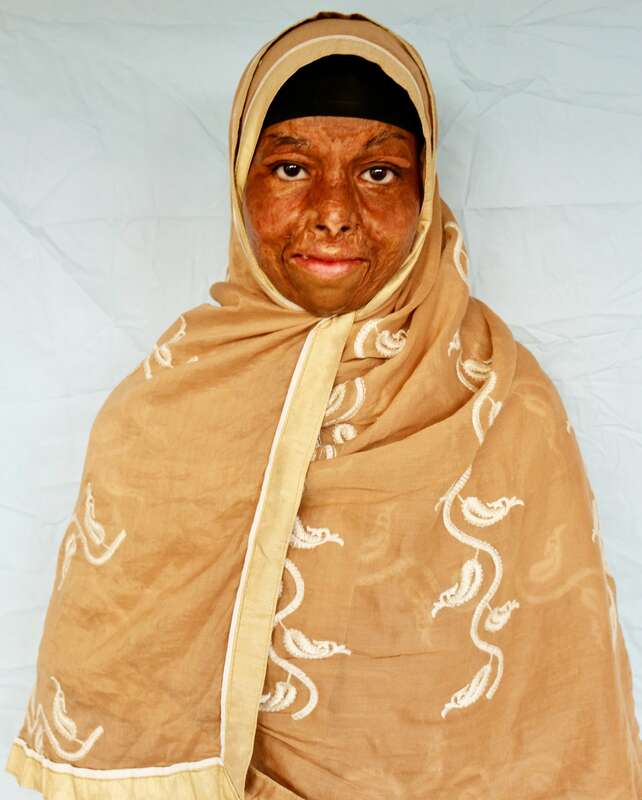 The family member, believing Roshni had taken it, burned her with gasoline that disfigured most of her body. 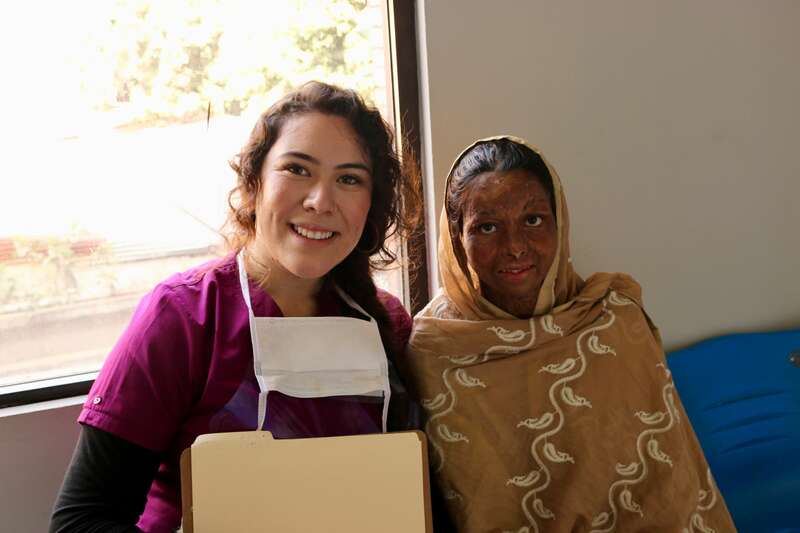 She has since had several surgeries, some previously with Rotaplast, to restore function to her eyes, nose, and mouth. 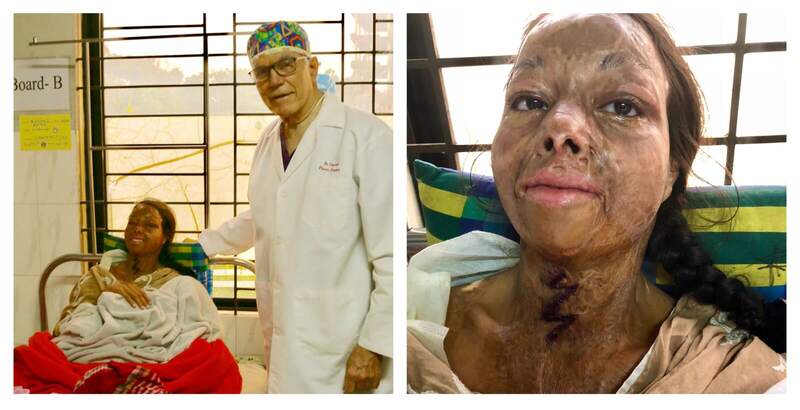 Today she came to us to free more of her neck that can become locked in place with the melted flesh from the initial wound and the years after when the wound contracts as the patient grows. It is in the Recovery Room that we learn that Roshni has but one family member that supports her. We gather more details and understand that she may not have a safe environment to go home and heal in. Without social services to protect the many people, especially women and children, abused in this country we do everything we can to help. We will find a way to keep her with us as long as possible so she has a safe place to recover. We collect every travel item given to us as at airports and hotels so that we can give them to our patients. We pull together these items that we have collected from our travels to create a make-shift toiletries bag of the essentials for Roshni’s stay with us, a new honorary member of our team.